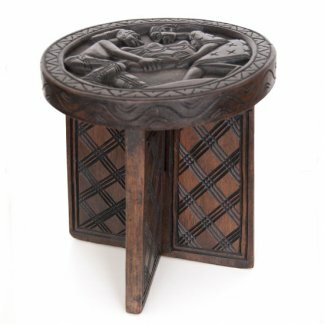 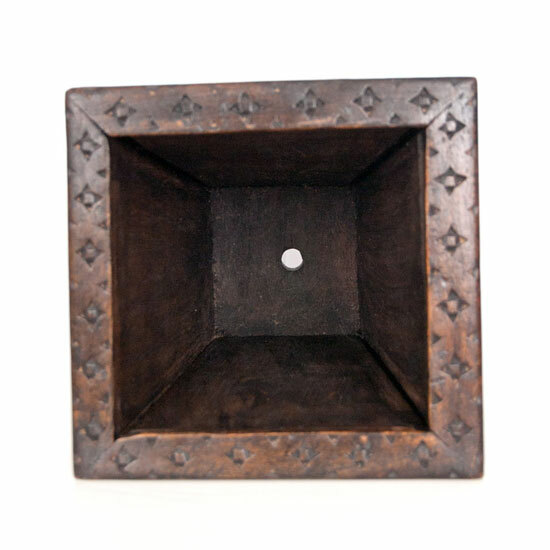 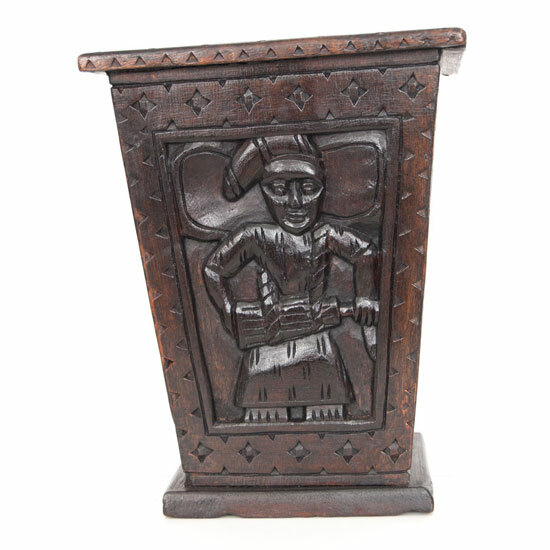 Solid wood floor vase featuring high relief motifs on all faces, depicting aspects of Yoruba folklore. 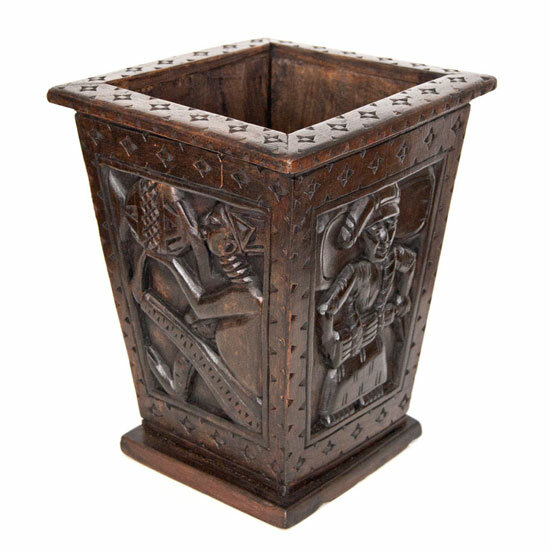 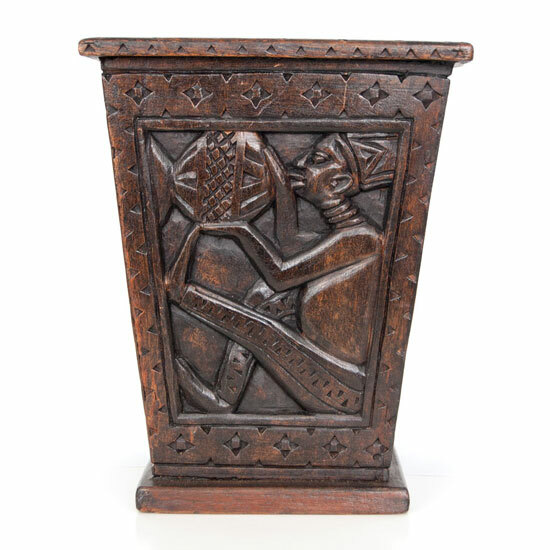 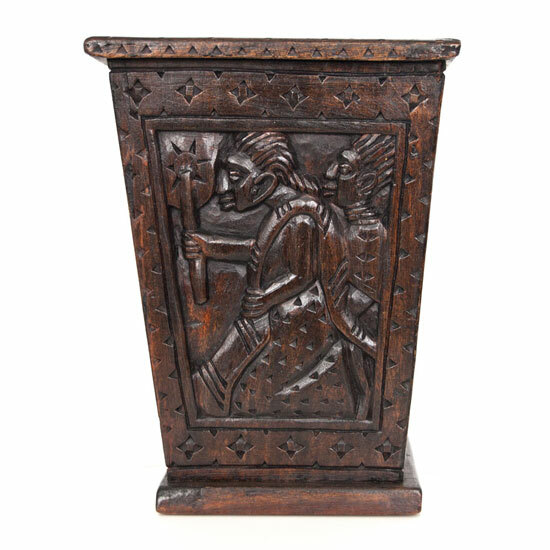 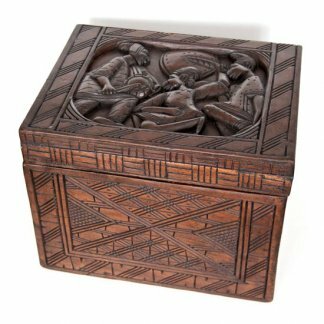 This is a solid wood floor vase featuring high relief motifs on all faces, depicting aspects of Yoruba folklore. 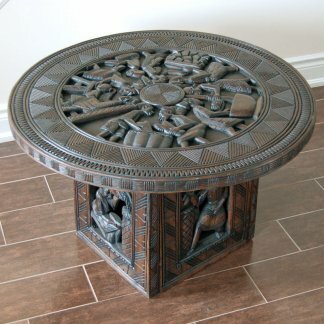 Hand-carved by sculptor Akin Alamu, Ibadan, Nigeria, 2000.